This is my newest book. It’s the second or third or fourth book I’ve written, depending on whether you count only published books that are still in print. If that’s the case, it’s the second. It’s categorized on Amazon as a fictional sea story, and so it is. It’s unusual, however, in that about a third of it is told from the point-of-view of one or more members of a pod of bottlenosed dolphins. 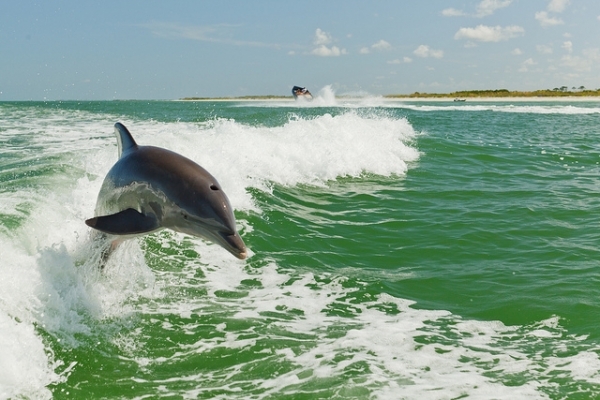 The dolphins talk to each other, and sometimes to birds and whales, but NOT to people. Research has shown that dolphins have huge brains and use them to interpret sounds that they can produce different ways. Research also has shown that dolphins have “signature whistles” that function as names. They have biological sonar that, according to the U.S. Navy, far surpasses anything research has come up with. Who knows how they communicate with each other, but iIn this book, I have supplied words. Click on the link above to learn more. If you like what you see, you can buy a paperback or an electronic Kindle book. Hi! Welcome to my website. Here you can sample some of my writing, published and unpublished. My friend David Burton built the site, but it was too complicated for a mere mortal like me. Another friend, Steven Ayers, simplified it. Steven has simplified it enough now that I can learn to run it. Thanks Guys. Stay tuned. The site has a proper contact page. If you want to contact me, that’s the way. In the past, visitors could leave a comment anywhere, with the assumption I would see it and respond. That turned out to be unmanageable, and subject to spamming. That’s fixed now, thanks to Steven. Unless you Googled my name, or saw it mentioned on Facebook, chances are you learned about this site because it’s on the back cover of The Speedster and the Skunk, the first book to be published under my name, or Chax, a Dolphin’s Song, the second. Both are available on Amazon, both as a Kindle book or paperback. I’m very pleased if you bought one that way. And if you do, I would also be pleased if you would post a review on Amazon. You can find how right next to where the book is for sale. Amazon knows whether you were it’s customer, and only those who bought the book from them can post a review. I had several signings for the Speedster, and I plan to have at least a couple for Chax this summer and fall. I’ll announce them here and on Facebook, and here. When I was a boy the annual Fourth of July parade in my hometown started almost in our back yard. It really started the night before, when what seemed like a band of gypsies and horses camped out on the practice field of the high school across the street. They built fires, cooked out, laughed and played music. Live, acoustic music. I could see the campfires from my bed. That was just the preliminary. The morning of the Fourth, those actually in the parade, or helping, would start to line up at the high school, the nearby junior high and the streets around them. By the time the sun was up it was like the circus had come right to our neighborhood. Excitement was palpable in the early morning summer air, and my friends and I would run from “neat” thing to even neater thing. It doesn’t take much to make a kid happy and on the Fourth we were off the charts. The parade “began” a block away on Center Street, the main drag, where thousands from our town and the hills beyond waited, ready to cheer and wave and put their hands over their hearts when appropriate. It was red-white-blue patriotic, with at least one color guard, but the parade also featured clowns, comical trick vehicles, antique autos, pretty girls, shiny convertibles, Shriners, high school bands, your dentist and lawyer and neighbor playing jazz on a float, politicians, civic clubs, good causes and silly hats. Always at the end all those horses, carrying sun-bronzed men and smiling cowgirls. I don’t remember veterans being especially honored. They probably were, even if it didn’t get my attention. What I do remember is that just about everyone involved was a World War II vet. That they had served seemed no big deal to my Dad and his friends. My aunts had served too, in different ways, one in uniform. Not to have served would have been more unusual. Those who saw combat didn’t talk about it much, and were modest if they did, though over the years we learned that some of our neighbors were heroes. The Fourth was a day to enjoy the fruits of earlier sacrifices, to cook on a charcoal grill, eat watermelon, swim, play ball, fish. Watch the kids play. Have a beer in the backyard with friends. Smile. Maybe remember those who didn’t make it back, and be thankful you did. Reflect a bit. But not too much remembrance. This wasn’t Memorial Day, it was the Fourth. Fireworks tonight, too! Miss Underwood had asked her fifth graders at Abraham Lincoln Elementary School to come to class the next day, ready to explain how to do something. It could be anything. The task and the explanation could be as simple or as complex as the student wanted to make it. I had not prepared, but I thought I could wing it. The first volunteer explained how to peel a potato, as I recall. There was more to explaining it than I had realized. A girl described how to iron a shirt, something I had watched. That seemed easy. Someone told how to kick a field goal. A snap. Someone else explained how to do something related to fishing; bait a hook, maybe, or tie leader to fishing line. I could do this. A girl explained how to roll out dough and cut biscuits from it. I think I recall that, though the fifth grade was a long time ago. Again, this was something I had seen done. A boy told how to wash dishes. He was short and got a laugh when he said he had to stand on a box. I had washed dishes, at twenty-five cents per evening meal, to “earn” my Boy Scout uniform. The idea was to have the student think about and — if necessary — research the topic, so as to be able to explain how to do whatever it was, without leaving anything out. The more complete and understandable the explanation, the better. Preparation obviously counted. I’m sure she told us to practice on someone. The idea, looking back, must have been to get us comfortable speaking before a group. Miss Underwood was good with helpful questions, and she had a wonderful, encouraging smile. I thought she was beautiful, too. But I had not prepared. I don’t know now whether I had even remembered the assignment. I don’t think I did. When we gathered that morning and other kids talked about what they were going to explain, I worried a little, but not much. I figured I could wing it, like the definitions for spelling words. Eventually, it was my turn. My father was in the automobile business, and I loved cars. So when Miss Underwood asked me what I was going to explain, I told her I was going to explain how to fix a car. I think I had decided on that topic when I realized that others in the class were excited about what they were going to explain. I didn’t even have a particular repair in mind. “Ask me anything,” I probably said. My ignorance knew no bounds, but I didn’t know it yet. I had heard a lot of explanations about repairs while hanging around my Dad’s garage, even at age ten. My Dad and Glen Mullins, a gifted mechanic who liked kids, would explain mechanical things clearly when I asked. The service manager and part-owner, Bill Marks, sometimes would too, though he was gruff. I had a good memory, and I loved to talk. What could go wrong? My confidence had started to evaporate when her smile changed. This was not a hypothetical fix, this was real. She trusted me, and was going to follow my instructions! Oh no! “You did?” I asked, terrified. I had visions of Miss Underwood’s damaged car, and the mess she was about to make of it, with my help. She was really nice! And lived block and a half from the school, on my street. She was about to make a terrible mistake. I still tried to sound like I knew what I was talking about, but that’s hard to do when you’re a fifth-grader and you know you have nothing to say. By then, my classmates were no longer as impressed with my assertions of automotive prowess. The smart ones, anyway. Probably all of them. Miss Underwood blessed me with another smile, but it was a smile that showed she knew. She told me to sit down. This time I understood, and was properly embarrassed. My embarrassment did not last long, though. At recess a kind friend said he had heard something about D wires. He was still my friend. That was a relief. I’m pretty sure Miss Underwood told me afterwards that I needed to be ready to explain how to do something the next day, and not to forget this time. I came clean to my Dad that night. I halfway remember him calling Miss Underwood, smiling as he talked to her. I may be imagining that. I do remember he took me outside, showed me the taillights on his car, and explained how to replace a burned-out bulb. The first question that had to be answered was whether the screws that hold the taillight lens were Phillips-head, with an X, or the regular kind, with a slot. He showed me the difference. Be sure you don’t lose the screws, he said. Dad said the best idea was to put them back where they go, just not tight. Putting the screws back in and taking them out again is better than losing them, he said. Once the lens is off, he said, take the bulb out. I think he took the lens out and showed me how the bulb either screws out, counter-clockwise, or has to be pushed in and twisted counter-clockwise, just a little, until it jumps out in your hand. He explained how you could find out by trying each way. Don’t push or twist too hard or you’ll break the bulb and cut yourself, he said. If the bulb is rusted, he said, or if you break it, you might need pliers. Dad always carried a tiny pair of pliers in his back pocket, with his clean handkerchief. Then he explained that you could take the old bulb to the dealer, or an auto parts store, and get a new one just like it. The parts man would know how to give you the right one for your car, but matching them up, side by side, is always a good idea. You replace the bulb the same way you took it out, only backwards, of course. Same with the lens. Don’t tighten the screws too much, or you might crack the lens and make it leak. Make sure the rubber gasket gets put back where it was too, for the same reason. I recall explaining this to Miss Underwood the next morning, with enthusiasm. At some point I asked her if she had talked to my Dad about fixing her broken taillight. She said she had. I told her that getting him to fix it would probably be a good idea. Fixing a dent is probably harder than replacing a bulb, I explained. She gave me a wonderful smile. And then the lightning bugs showed up. I don’t remember why I was in the field that evening. I did a lot of wandering by myself in those days. I was still using drugs, but I had stopped enjoying them. I had had some scary encounters on acid, some terrifying encounters. I think this may have been not long before the worst one, the one that scared me back from the abyss. I’m not sure. I was living on the lake then. That was when the scariest, last acid trip, the big one, happened. Whether this was before or after that, I don’t know. I do know it was getting dusky and I was alone near where the interstate highway was being built. Darkness was approaching and I was not sure I could find my way back across a barbed-wire fence and a creek. Not in real darkness. There may have been cows too, which scared me a little at the time, since I am a as much of a city boy as northeast Tennessee could produce at the time. I think the thing that scared me most was the falling light and approaching darkness, and fear itself. The world was a fearful place to me in those days, full of rough textures and people and creatures that meant me harm. I feared for my soul and my sanity. I did not have a good grasp on either one. Being alone in the dark didn’t help. I think I reviewed my options. I could go to the right, to the raw expanse of red clay where the interstate is now, but that would have involved a long slog through mud. I could go left and head straight for the narrow dirt road, and take my chances with the barbed wire on the bank and the creek. I could go back the way I had come, and hope I blundered into a good place to cross again. Or I could keep going the way I was facing and follow the creek down the valley toward the lake. But that was the unknown. The creek dropped a long way before it got to the lake. There was a waterfall down there somewhere, and it was getting dark. It was spring, warm, pleasant, but I was frozen where I was. I looked one way and it looked bad, then another way and it looked worse. Meanwhile, the sky got darker. Was I afraid of barbed wire? Tearing my clothes or my skin? Not if push came to shove, I don’t think, and I wasn’t afraid of getting my feet wet either. I probably was wearing half-boots with lugged soles, dressy for what they were, but they would have protected my feet. I was afraid of snakes, still am, but I had not seen any. I think I was mostly just letting my fear — fear of the devil, fear of the unknown, fear of darkness or my own weakness, fear of being aware that I could not take care of myself — or all of the above— run away with me. Fear ran me then. Controlled me. I can’t remember if I prayed. I was running from God then and had been for a while, trying to deny reality, trying to pretend, trying to build a worldview on snippets from songs. “Who’s trying to say that he’s just in-between, the night isn’t black if you know that it’s green” was one slack lifeline I borrowed from Buffalo Springfield. “He’s courageous enough to be skeered, but he’s too humble to win,” sang Judee Sill. I could go on. When you’re drowning, you grasp at straws. I was and I did. Sometimes they kept me afloat for a bit. I don’t think I prayed though. I wasn’t ready for that. When I finally did pray, in the middle of the worst acid experience of my life, I was so drugged out it took me a long time to realize I had prayed a three-word, desperate prayer. This event and that one were close to the same time, I think, but I think the big one was a bit later. Or not. I’m not sure. My head was bad. This time, I think God just tapped me on the shoulder to remind me he was there. He did it by arranging for the field to be filled with lightning bugs. I had not noticed. I did not realize the lightning bugs were there, each of them a small miracle, until they all—simultaneously—lit up. When it happened, the light almost knocked me to my knees. I mean literally. The burst of lightning bug light just about knocked me down. That mass flash was the only one. From then on it was just firefly business as usual. One here, one there, many there and there and everywhere, seemingly at random. They kept blinking just enough for me to remember they were there. Because the burst of light had banished my fear. Had taken the weight off of my chest. Had let me know I was not alone. If God had said, “Relax, I’ve got this,” in an audible voice, I don’t know if it would have had more effect than the lightning bugs. When I started writing I thought this would be a short story. When I was a boy my dad told me what I thought was a really interesting, funny, embarrassing true story. I asked to hear it until I’m sure he got tired of me asking. In a nutshell, when he was in high school in 1929 or ’30 he traded his pony for a 1912 Model T Ford touring car. With help from friends he converted it into an early hot rod called a Speedster. Before it was finished (no windshield, no top, no body really) he drove it to a dance. On the way home he tried to bluff a skunk and paid the price. Last fall I thought I should get it down on paper. My friend John Lingo, who has restored old Fords to showroom condition, read an early draft and helped make it more accurate. It grew. By the time it was done it was a novella, fifty-some pages long. It cried out for art. Jim Caswell, one of the best car artists I know, liked the idea and drew a cover and four more pen-and-ink illustrations. They still knock me out. Laura Ann Sorrell helped Jim with the people, and my old friend Earl Carter stitched the machines and people together in Photoshop. “Hey Tom Bragg! I hear you’re sleeping in the barn.” Bea stopped in the shade, swung her tennis racquet at the air and waited. Bea shook her head too, but she also almost smiled. It was a sympathetic smile. “I did at first. It’s a whole bunch better. Plus I just took a shower.” She looked sympathetic. Without moving away she took a backhand swing, leaned forward and sniffed again. “Yes I do.” She smiled. “How much time do you have?” Tom Bragg didn’t have much time himself, but couldn’t remember why just now. You can’t think when girls smile like that. Tom Bragg wanted to drive his speedster to the dance. He wanted to show it off, and be seen in it. The speedster was still rough around the edges. It needed a few things, but it ran great and looked sharp. At least it looked sharp to him, and to most of his friends. Rich boys had nicer cars, sure, but they had not built those cars themselves. Tom Bragg had built the speedster, with help from his friends. He snatched time after school, between band practice, gymnastics, his job at the drugstore, chores, studying, sleeping and eating. It had taken months, but it was a darn good car. Especially to have been built by a boy in high school. Even Daddy said so. Of course, he hadn’t built it from nothing. It been manufactured on Henry Ford’s famous assembly line in 1913, right after Tom Bragg was born Dec. 7, 1912. Most seventeen-year-old cars are not as stylish as most seventeen-year-old-boys would like, but this one was as up-to-date as he and his friends—and his budget—had been able to make it. People who knew what they were looking at were impressed that a high school boy could accomplish so much. Even people who were not all that interested in cars noticed it. But in 1930, most everyone was at least a little excited about automobiles. Automobiles, aeroplanes, radios, Kodak cameras, talking pictures. New things, modern things. Until Tom Bragg got hold of it, the speedster-in-waiting had spent most of its seventeen years looking like a grandmother’s car. It had rolled off the assembly line padded like a comfortable buggy, with a tall, brass-framed windshield and a cloth top that made it look a bit like a covered wagon about to cross the prairie. Tom Bragg removed the big touring car body right away, and hauled most of it to the foundry. The scrap metal brought just enough money for a few key parts. Even better, the buggy-like body wasn’t sitting in the back yard looking tacky. Mother and Daddy were tolerant when Tom Bragg re-built that biplane back there, but this was just parts of an old car. When the body came off, the front fenders stayed, and he started looking for two more just like them. He wanted to mount them backwards, over the back wheels. Plenty of speedsters had bookend fenders like that, and it looked sharp. For now, the speedster-in-progress stood naked on its original twelve-spoke wheels and tires, pretty good ones, and it still had the original brass radiator. It still had the original black folding hood too, and the tiny black cowl and firewall that the Ford Motor Company had given it. But so did most speedsters. Want to read more? Here’s the link. I’m still learning, so you may have to paste this into your address line.